2 piece set express train coaches of the Swiss SBB. Epoch IV. 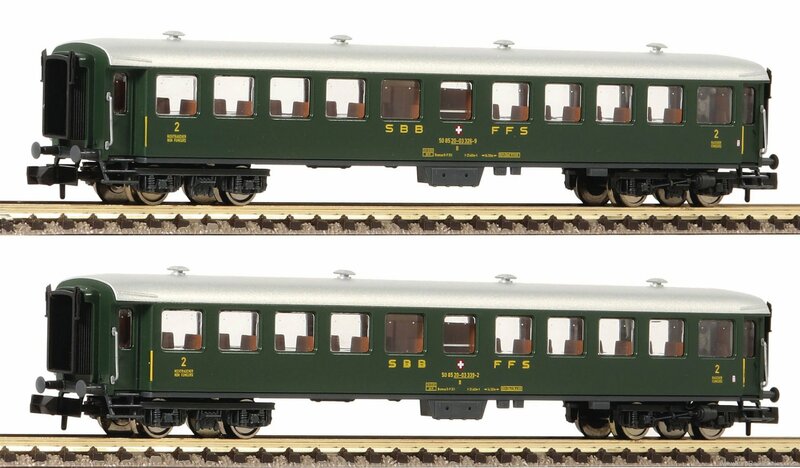 The set contains two 2nd class express train wagons which have different running numbers than the 2nd class wagons from the set 881813. Model with interior design and in-plane applied windows. Interior lighting can be retrofitted. Close coupler motion link on each end of the wagons for real close coupling operation. Coupler pocket according to NEM 355 standards.